On Monday, January 6th at around 5:45AM, Daniel Ack, 48 year old Belizean security guard reported to the San Pedro Police that while leaving his workplace earlier that same morning, he was attacked. According to Ack, while riding home past Paradise Theater with a co-worker, Juan Rash, 49 years old, a man, he recognized as 29-year-old Marvin Ayala came out of the bushes near the area and hit him to the right side of his head with a wooden stick. Ack fell to the ground as a result of the blow. Rash quickly came to assist Ack. Amaya tried to hit Rash with the stick several time but missed, so he threw the stick at him and fled the area. Court Action has been requested and Amaya was been officially arrested and charged. On Saturday, January 4th, Officer in Charge of Police, Luis Castellanos reported that while driving on Swan Street his attention was drawn to a Hispanic male handing money to John Henry, a known drug peddler. Henry walked towards the Bay Side Area and shortly after, returned to the direction of Seven Eleven Convenient Store. Castellanos approached Henry, and stated that he had reasonable grounds to suspect that he Henry was in the possession of controlled drugs. Castellanos proceeded to conduct a search on Henry, but before he could commence, Henry handed over a small bundle of suspected Cannabis. Henry was escorted to the Police Station where the suspected drugs were weighed in his presence. The suspected cannabis amounted to 0.66 grams. Henry was detained and charged for the possession of controlled drugs. On Sunday, January 5th, Deshane Stuart, 30 year-old resident of Swan Street, reported to the San Pedro Police Station that on the same day around 8AM her common law husband, Allan Martinez Sr. punched her on her forehead several times due to a dispute. Martinez was formally arrested and charged for Common Assault. On Wednesday, January 8th, Karim August, 19 year old resident of San Pedro Town, reported to San Pedro Police the house he had been taking care of had been broken in. According to August, he had been overseeing the home of Jerry Gilbreath located on the corner of Barrier Reef Drive and Caribeña Street, and while making a check on the house on Saturday, January 4th at about 9:30PM he saw a group of young males inside the house. In addition, August also smelled a strong essence of marijuana in the house. August immediately contacted the police for assistance. Upon searching the house, police discovered four males hiding in a bathroom and a transparent zip-lock bag on a counter in the hall. The bag was suspected to contain cannabis. Upon further inspection, August reported that some items were missing from the house. The drugs were weighed and amounted to 9.66 grams. The four persons were arrested and charged included 18 year old Florentino Velasquez and three underage males. On August 3, 2013 Caye Caulker Water Taxi reported to San Pedro Police that one of their vessels had been vandalized the night before on August 2, 2013. Video footage captured the crime in action and police were able to identify the person that vandalized the boat, but the man had already fled San Pedro Town. Caye Caulker Water Taxi reported that damage to the vessel amount to an estimated $2,000. On December 25, 2013, four months after the incident the criminal was finally caught by San Pedro Police. 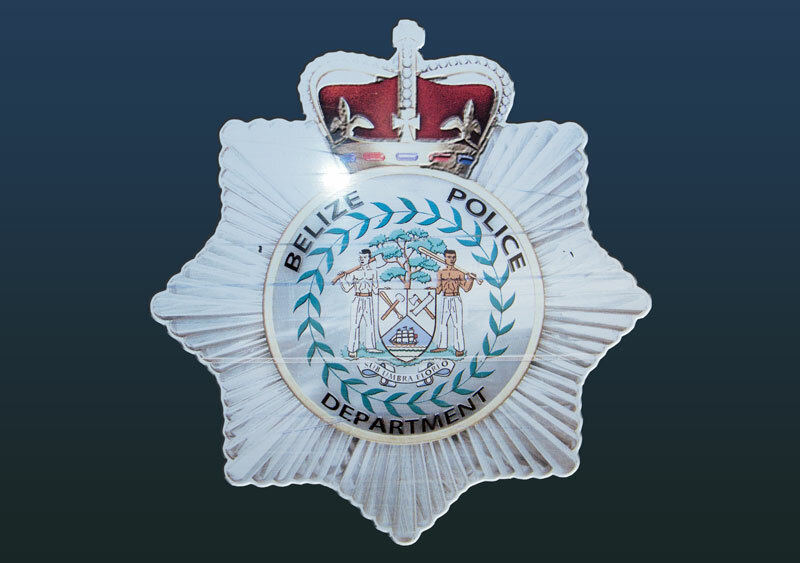 The man was identified as Karl Huesner, 28-year-old resident of Belize City. Huesner was spotted in San Pedro Town by police, who recognized him from the video footage. Huesner was charged on December 26, 2013 for damage to property. His intentions on vandalizing the vessel are still unknown.